Kozel Steel has been the largest source of structural steel for the Rochester Residential Home Building industry since 1960. 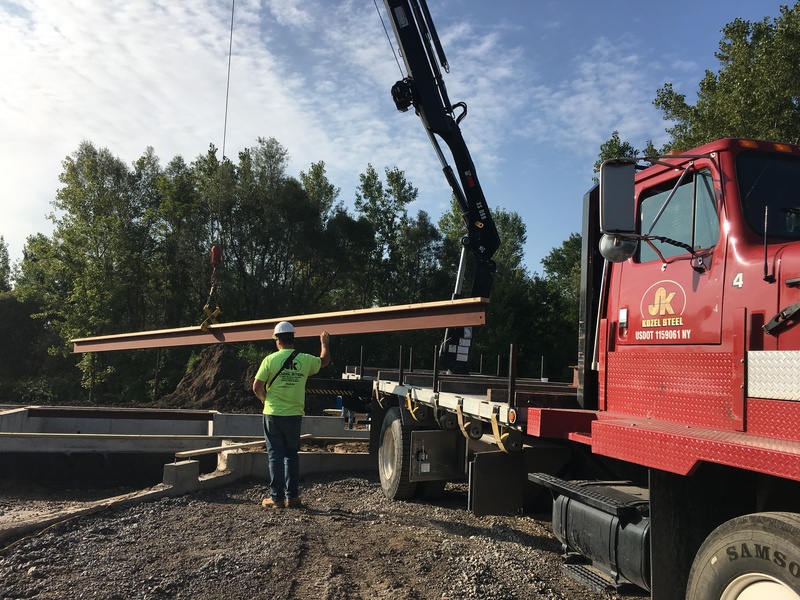 Kozel Steel pioneered the use of Narrow Cab Steel-Hauler trucks making possible the delivery of long beams in single pieces to individual housing and apartment building sites. In the late sixties Kozel Steel added a crane to the back of the truck thereby allowing beams to be placed right in the foundation beam pockets. Our leadership continues today as we offer the largest selection of structural steel in Upstate New York serving Homebuilders between Albany and Buffalo. We have the ability to fabricate anything your Architect and Engineer may design, complete with shop drawings for your review and approval. Our fleet of Narrow Cab Steel-Hauler Crane Trucks along with our dedicated and experienced staff await the opportunity to earn your business.